Edible Arrangement From The Awesome USOC Staff! 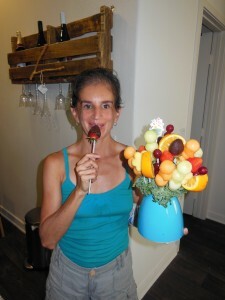 Picture of Ivonne with the Edible Arrangement. A knock on our door late this afternoon delivered a surprise. It was an Edible arrangement from the wonderful and thoughtful staff from the US Olympic Training Center in Chula Vista, CA. The fruit included pineapple, strawberries, mellons, and more. It reminded me of Hippocrates’ famous words, “Let food be thy medicine”. I am so touched by this gesture of kindness, and the get well wishes. This is a memorable gift, and I send them my heart-felt gratitude and appreciation! Thank you to all! Picture of Ivonne wearing the Fraas Hat and Scarf. It’s been a rough few days since Session 3 of Chemo. 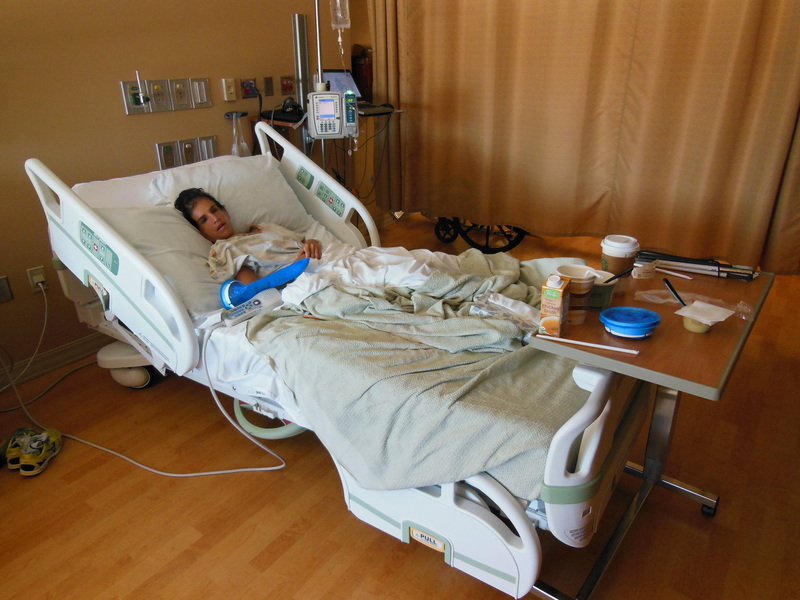 I ended up being admitted into the hospital because of intense stomach pain, and severe nausea and vomiting; I just couldn’t keep anything in my system. This is the first time I’ve really felt any side effects from being on Chemo, and it was intense. After 3 days in the hospital and of being on a liquid diet, I finally recovered well enough to go home! To my surprise, when John and I returned to our hotel, (which had temporarily been home), I had a FedEx package waiting for me! It was a gift from the Vartorella family – my dear friend Rosie, her usband Rick, and her two sons Leo and Harry. The gift was a beautiful hat and scarf from the Fraas Company – They use a phenominal material called Cashmink, which is so soft and luxurious! 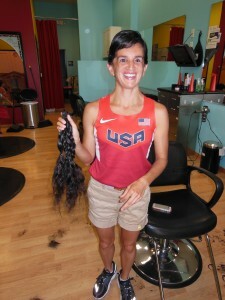 I was so touched by the love and kind gesture from Rosie and her family. Plus, it certainly felt like a “welcome home” gift after being in the hospital for a couple of days! 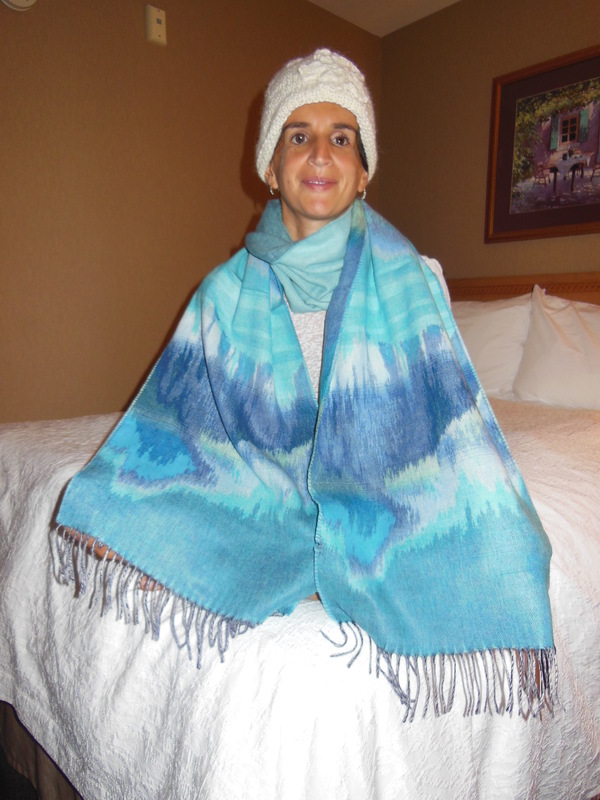 The hat fits my head perfectly, and the scarf is delightfully soft and light! 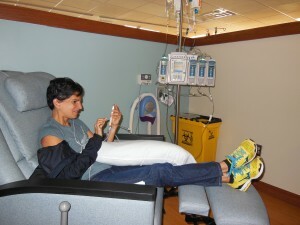 Picture of Ivonne Receiving Chemo. I’m fighting a terrible headache and an upset stomach as well, so things could get interesting as time goes on. The headache is likely coming from my not being able to sleep well. My scalp is quite tender now, so I’m trying to limit my movements while I sleep. This is quite tricky! Two hours later, the PICC Line was put into my left arm. Finally, by 4:30PM I was able to get started with Chemo. This made for a very long day! Luckily, I didn’t experience any pain in my veins as the Chemo went into my body. The dizziness that I’ve been experiencing from the last medication that is administered was also minimal today. Thank you to my nurse Steve Nguyen for his kindness, humor, and for teaching me a few words in Vietnamese. Much love and gratitude to my husband John for accompanying me today and for being my advocate as well. After a lot of research, I believe I have found a place that combines Eastern and Western, treatment, medicine and healing! At Cancer Treatment Centers of America, Chemotherapy and Radiation therapy are combined with a Naturopathic approach to treatment along with Acupuncture, Massage therapy, Reiki, and pastoral services. At the CTCA location in Goodyear AZ there’s even an organic farm that produces lots of the fruits and vegetables that are used in the Center’s own Cafeteria! 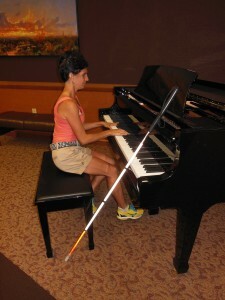 There’s also a piano on the ground floor of the building, and music is so powerful and healing as well! I am grateful that Dr. Keohan, my oncologist at MSKCC in NYC, has agreed to work with the oncologist in AZ who will be taking on my case. It’ll be a short stint in AZ, but the travel from Cali to AZ will be a lot shorter. This is important should side effects of chemo start getting stronger. Plus, CTCA also arranges transportation to and from the airport in Phoenix, as well as transportation from our hotel to the CTCA location. This definitely helps minimize the stress of planning logistics! I’m thankful for the holistic approach to healing that CTCA employs. New Drs. will join my team of Drs. in New York, and we will all be reaching the finishline together!